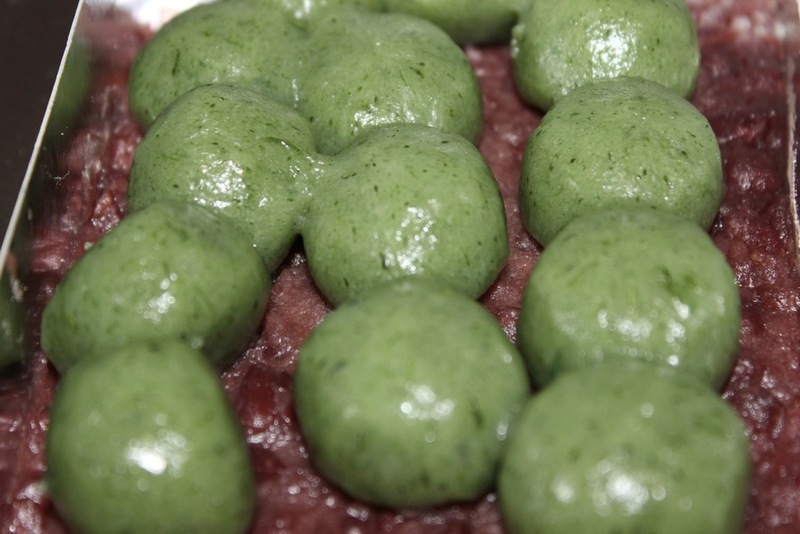 Cha Dango is made of rice flour and is of green tea flavour. 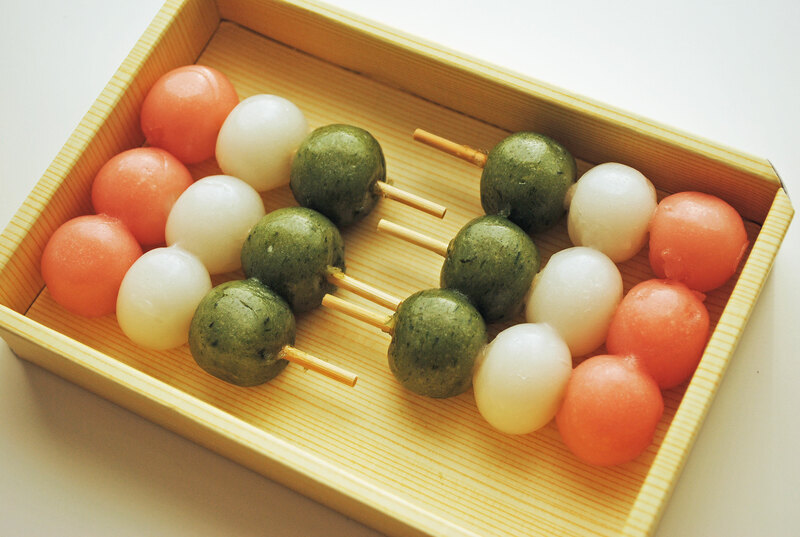 Generally you will find three or four Dango arranged on sticks when you go to buy them or when it is served to you. 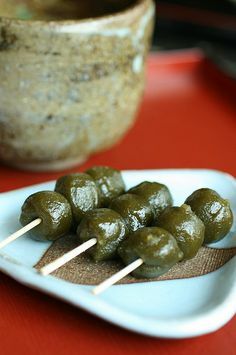 The Cha Dango of Kyoto region in Japan is very famous. 2. Goma Dango- These are sesame dumplings which are of black as well as white color. The white dangos are plain ones while black dangos are made of black sesame. These dangos taste sweet as well as salty. 3. Hanami Dango- The word hana stands for ‘flower’ and mi stands for ‘viewing’. Thus, as the term signifies Hanami Dango is generally made during the flower seeing time. It is of three colors basically white, green and pink. 4. Inari Dango: Inari Dango are also very famous as it is tofu fried and boiled after filling rice into it. It is a heavenly experience to have enjoyed an Inari Dango as it melts in the mouth as you have them. It has just the adequate amount of sweetness that you would like. 5. Kibi Dango- Kibi Dango is plain dessert consumed in Japan. The flour used in it is not rice, but roasted soya bean flour. It is also prepared with starch of millet and can be eaten in all seasons. 6. Kinako Dango – Kinako Dango are sweet dumplings made of rice flour and is covered with soy flour which is both sweet and salty. These balls are then put in boiling water which starts floating on it when ready. 7. Kurumi Dango- Kurumi Dango is a famous sweet savoured in the season of autumn. It is prepared with rice flour and ground walnut also known as kurumi paste which is put above it to give it a sweet caramel and flavor. 8. Kusa Dango – Kusa Dango are mugwort flavoured dumplings that is flavoured with cudweed. It is prepared by mixing water to rice flour and then boiling the dough that is prepared. 9. Shiro Tama Dango- Shiro Tama Dango also called white ball dango. This dango is made out of rice flour which is mixed with warm water. It is served with black beans or soyabean flour. 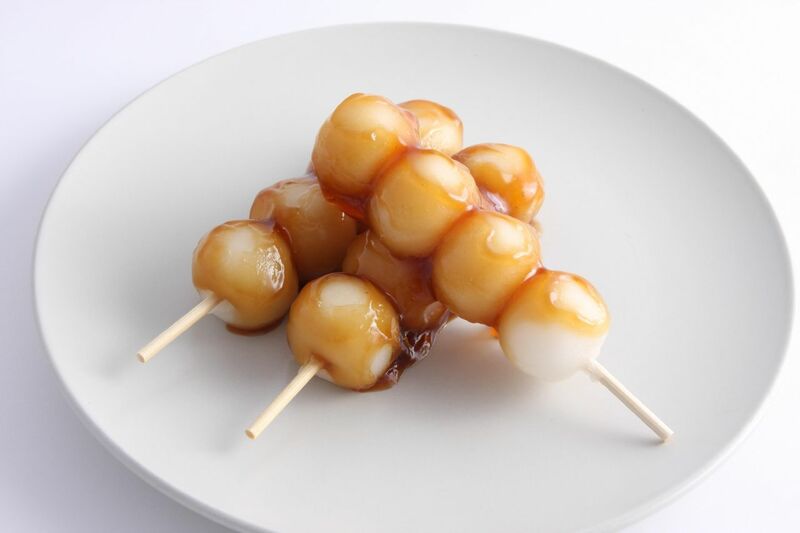 10.Tsukimi Dango- Tsukimi Dango are white dumplings made from rice flour and is mainly consumed during Harvest Moon Festival of Japan known as O-Tsukimi. Japan being the country of festivals invites many tourists towards it and if you happen to go there do enjoy the taste of these mouth watering and delicious dangos which will surely leave you craving for more.